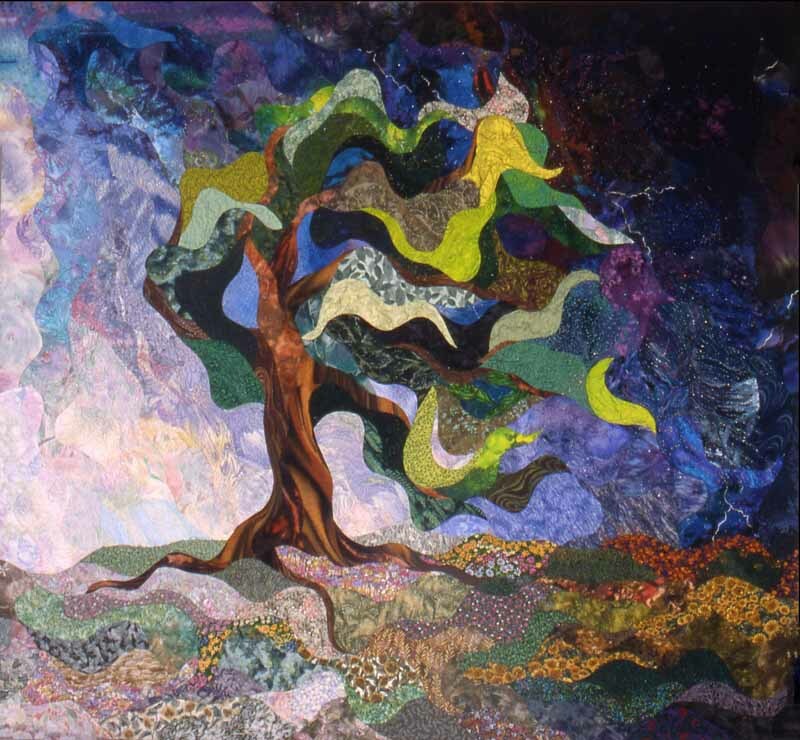 After the Storm, created four years later, is a sequel to my quilt "Breaking Point". Its purpose is to demonstrate that life's storms are often followed by more tranquil and brighter days. The back of the quilt symbolizes the childlike nostalgia we often revert to during the trying times in our life. Of note are the pieced binding, constructed one template at a time, selective fabric manipulations and free-motion quilting with 2, 3, and 4 strands of thread through a single needle.